It’s a mistake that many start-ups make – focusing so closely on the product that they overlook the packaging. However, as many small firms have discovered, the right packaging can be crucial to getting products safely onto retailers’ shelves and into customers’ homes. When it comes to planning your packaging, it is worth spending time and money getting it right. It is not just a case of coming up with something you think looks great. You have to think about storage, transport, the environment and whether it fits in with retail buyers’ requirements. As a general guide, packaging should be as light and compact as possible, with the aim of maximising the product’s value and appeal, while minimising the storage requirements and transport costs. 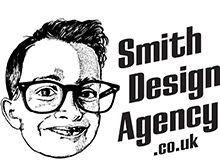 Smith Design Agency can help you achieve that result. Packaging materials are another factor. Things like cost, functionality, durability and the environment all need to be considered. The best packaging not only represents the product inside, but manages to communicate its values and market position as well. In the design business this is known as being ‘brand centric’. Remember, if you try to appeal to everyone, you risk appealing to no one, so think closely about your ideal consumer and package the product for them. Once you know who you’re aiming for, ensure your packaging ‘talks’ to them through every stage of the buying journey. “From product selection on the shelf, to the use, storage and display of the product at home, it’s not just the outer packaging but also the appearance of the product once unwrapped that will determine whether a re-purchase is made. Give as much consideration to how your product will be safely distributed as to the design of the product itself. The protective packaging, storage and distribution elements of the process are there not to add cost, but to preserve value and should be planned into your workflow from the start, rather than when the product itself is completed. Try to use as many standard sizes across a range as possible, as this can significantly reduce production costs and gives greater flexibility on pallets, both in the warehouse and on lorries. “Round bottles leave more space between them than square cartons, flexible bags can leave the contents open to crushing, and fragile containers could collapse if they have to be stacked. We will be happy to discuss any of the above with you and if more specialist packaging help is required we can point you to one of our associate companies.